List o’ 10 People Who Performed Surgery – On Themselves! Everyone has likely had a moment when something has hurt so much, that you just want to reach inside yourself and take care of it. Maybe a headache, an earache, stomach cramps – if you could get your hands on it, seems like it would feel so much better. But that really never happens – or does it? 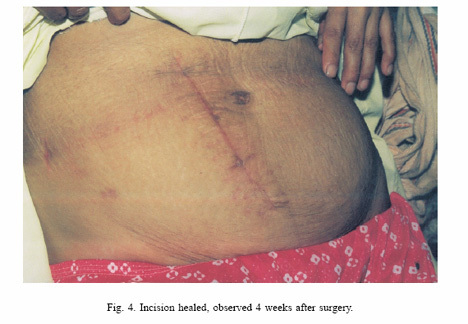 Check out this list of documented cases of people who have actually performed surgery on themselves, and lived to talk about it. 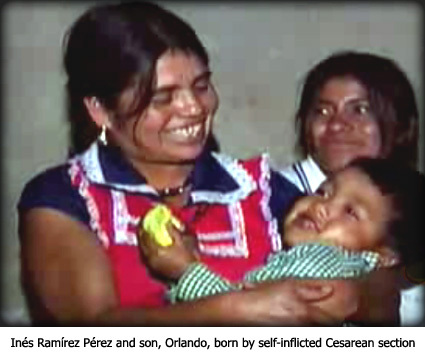 On March 5, 2000 in the mountains of southern Mexico, Ines Ramirez was alone, 80 km from the nearest medical facilities and about to give birth. The 40-year old mother of six had experience at giving birth, but having had a stillborn girl a year earlier, also had the terrifying experience of what can go wrong. She knew that there was no stopping this baby and did the only thing that felt she could. 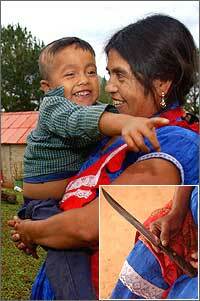 She took several gulps from a bottle of rubbing alcohol, grabbed a 15-cm knife and cut through skin, fat and muscle. She reached inside her uterus, pulled out her baby boy, cut his umbilical cord with a pair of scissors, then passed out. Sounds too crazy to be true, but the two obstetricians who examined her 12 hours after the birth – Dr Honorio Galvan and Dr Jesus Guzman – are wholly convinced. The birth got little attention until it was reported in The International Journal of Gynecology and Obstetrics (March 2004). 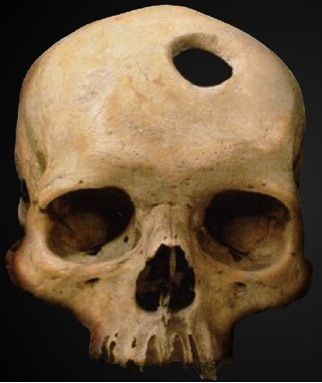 Trepanation is a medical treatment that involves drilled a hole through the skull to allow for better blood flow; in the case of Ms. Fielding it was to get a “perma-buzz”, suggesting that the effects can be similar to LSD to achieve a higher state of consciousness. 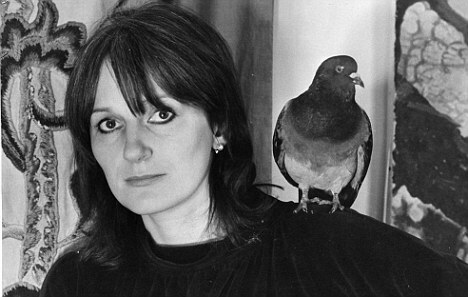 The story has it that Ms. Feilding undertook this procedure only because a friend who she was with at the time – Joseph Mellen – attempted the move on himself unsuccessfully. Apparently after Joey’s first attempt at self-trepanation was a fiasco, Amanda agreed to take his place. The operation was carefully recorded. She had obtained a cine-camera, and Joey stood by, filming, as she attacked her head with an electric drill. The film – entitled Heartbeat of the Brain – shows her carefully at work, dressed in a blood-spattered white robe. 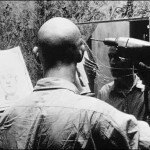 She shaves her head, makes an incision in her head with a scalpel and calmly starts drilling. Blood spurts as she penetrates the skull. She lays aside the drill and with a triumphant smile advances towards Joey and the camera. Since that time, Joey and Amanda have lived and worked together. They have lectured widely in Europe and America to groups of doctors and other interested people, showing the film of Amanda’s self-operation, entitled Heartbeat in the Brain. It is generally received with awe, the sight of blood often causing people to faint. At one showing in London a film critic described the audience ‘dropping off their seats one by one like ripe plums’. Apparently the couple and their family are as normal as can be, aside from this one quirk. Aron is an avid outdoors enthusiast and rock climber. On April 26, 2003, he set out on a fairly routine climbing and hiking trip on the outskirts of Canyonland National Park in Utah. Aron was no stranger to climbing solo, having climbed all 59 of Colorado�s 14,000 foot peaks, 45 of which he did alone. This climb was supposed to be an easy bit of relaxation for Mr Ralston. He did not plan on getting his arm pinned under a boulder and being stuck in the wilderness for 5 days, unable to free himself. 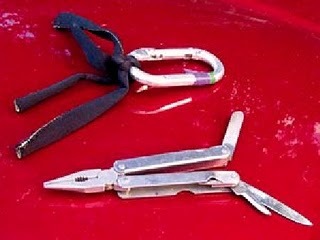 He used his climbing multi-tool, with its various blades and attachments, to cut off his arm at the elbow in order to escape, an operation that took over an hour top perform. 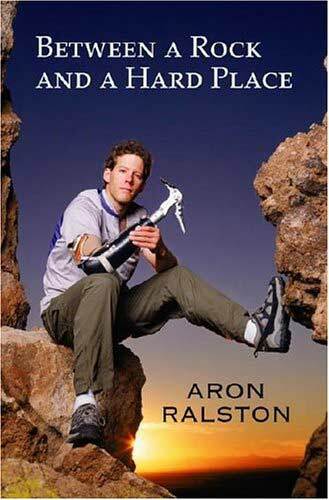 Once free, Aron administered first aid to his new stump and rappelled the remaining 70 feet to the bottom of the canyon. He hiked 5 miles until he found a Dutch couple whom he asked for help. He still climbs today with his prosthetic arm. This lobster fisherman got his hand and arm caught in a winch while out on the sea. His body was actually hanging out over the ocean, so he had to dislocate his shoulder in order to get himself back in the boat. The only way for him to free himself was to cut off his arm, which he did, then drove the boat back to the harbor to seek medical help. He says that it was all worth it when he heard his young daughter say to him, Daddy, I dont care if you only have one arm. At least you are here”. 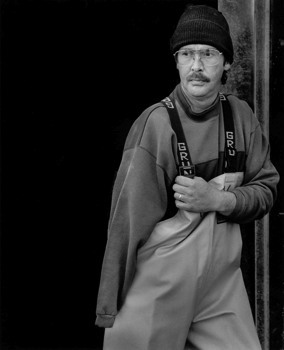 Life for Mr Goodale continues with catching lobster and spending time with his family. Heven received some celebrity notoriety as a result of his bravery – Goodale was also featured in the television show �Extreme Makeover: Home Edition� (USA) where 1,000 volunteers converted Goodale�s mobile home into a $500,000 log home. 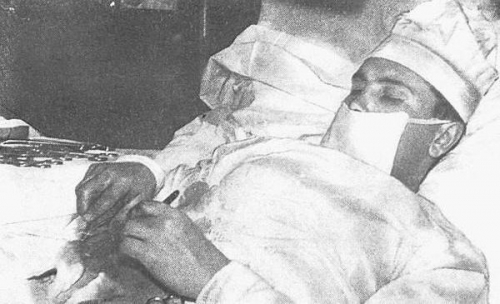 Dr. R. was stationed at an Antarctic base at the Soviet Novolazarevskaja Research Station in Antarctica when he discovered he was suffering from acute appendicitis. He had some people help him hold mirrors and retractors, but performed the entire surgery himself using just local anesthetic. Rogozov later reported on the surgery in the Information Bulletin of the Soviet Antarctic Expedition. He was back to work in two weeks. 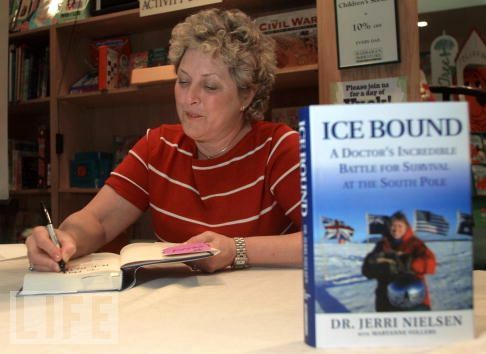 In October 1999 Dr Jerri Neilsen was trapped at the South Pole when she discovered she had breast cancer. She performed needle biopsies on her own breast, conducted her own intravenous chemotherapy treatments and was preparing to perform self-surgery on her affected breast in the event that she could not be rescued. Weather eventually permitted her rescue but only after weeks of enduring self-inflicted invasive treatments which ultimatley saved her life. Sadly, Dr Jerri Nielsen died at age 57 in her home in Massachusetts. Her cancer went into remission until 2005, but had since metastasized to her brain before claiming her life on June 23, 2009. 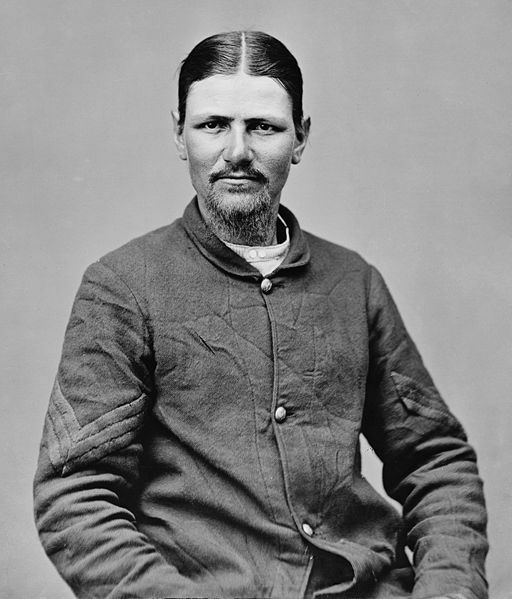 In 1863, Confederate soldier Thomas Berry, a scout for cavalry leader Nathan Bedford Forrest, was wounded by a bullet in the abdomen, which tore up his intestine. The army surgeon refused to operate, saying the bullet was too deeply embedded. Berry had been trained as a surgeon, and was certain that he could save himself. However, this meant that he would have to operate on himself to remove the bullet. With the assistance of a nurse he pulled the damaged bowel out of his wound, repaired it, washed out the cavity, and then stitched up his abdomen. he lived to tell the story and write a book about it. 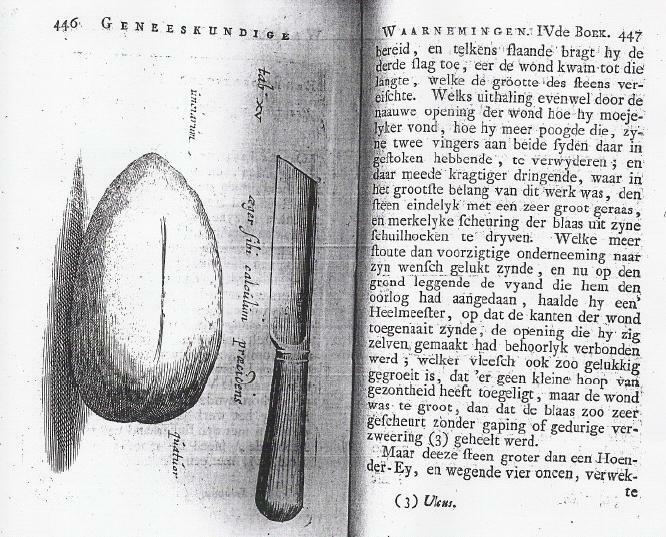 The stone was reportedly as big as an egg, almost as big as the knife he used on himself. OMG – ouch! In 1921 Doctor Evan O’Neill Kane wanted to prove something to the medical world. It was his belief that ether was being used far too often when less dangerous local anesthetics could be used. So he set out to perform an appendectomy using only a local anesthetic. This would not be amazing in itself, but the patient was Dr. Kane, the 60-year-old Chief Surgeon of Kane Summit Hospital. He had removed his own appendix, and proven that local anesthetic did just fine. To accomplish this he was propped up on the operating room table with a mirror over his abdomen. 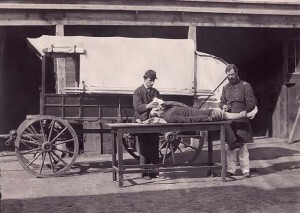 And thsi was no backroom or wilderness surgery – three other doctors observed in case of trouble. End of story? Not at all. This was neither Dr. Kane’s first self-surgery, nor his last. In 1919 he amputated one of his own fingers. Then in 1932, at age 70, he performed an operation on himself to correct an inguinal hernia that had bothered him since he was first injured in 1926 while riding horseback. One type of self-surgery that is uncomfortably common is orchiectomy, removal of one or both testicles. A small number of males resort to self-surgery in an attempt to control their sexual urges or due to gender identity disorder. Boston Corbett, the soldier who killed Abraham Lincoln’s assassin John Wilkes Booth, had performed self-surgery earlier in life. He castrated himself with a pair of scissors in order to avoid the temptation of prostitutes. Afterward he went to a prayer meeting and ate a meal before going for medical treatment. ok, this is very crazy stuff – now where is the self-performed vasectomy – ouch! oh my god, a guy castrating himself?